A sense of native place is a sentiment most associated, in music, with folk styles, or with the strong blood-and-soil nationalist current in black metal, for example, and such sounds have sometimes been taken up by those with particularly unpleasant political agendas. Craig Fortnam is here to remind us, through his acoustic Arch Garrison project, that an autochthonous sense of identity, a strong sense of connection to the landscape on which one lives, can be inclusive and nourishing. These songs are informed by an awareness of the difficulties and ambiguities around such ideas: ‘it might seem strange/ to eulogise/ a piece of land and where it lies’, he muses in ‘Where The Green Lane Runs’, such a sense being precisely what is missing from nationalist perspectives on landscape. Fortnam seems largely concerned with an individual rather than a social relationship to the earth he walks on, and while he may or may not come from a particularly long line of residents in the part of southwest England he inhabits, some of his songs are clearly imbued with an acute awareness that he walks the Ridgeway in the footsteps of two-hundred generations or more. A social sense of indigeneity that does not manifest itself in a sectarian tribalism is possible (or I hope it is, otherwise we’re all fucked), but I suspect the personal connection so movingly articulated in I Will Be A Pilgrim may be a prerequisite for it. That the textures of Arch Garrison’s music do not seem particularly ‘earthy’ should not be allowed to obscure the strong vertical continuities in which it is rooted; the top branches of mature trees don’t seem very ‘earthy’ either, and nor does the human sense of frolic that informs the intricacies of Fortnam’s light-as-air guitar work, but humans of even the most ethereal type are made from the soil, and eventually become a part of it. Not all of the songs on the album are concerned directly with the rich Neolithic heritage of Fortnam’s locality, but a preoccupation with the long slow continuities they represent is likely a factor in his aesthetic sensibility, whatever he may be doing; that’s certainly the impression I get from this music. The publicity materials that arrived with this album specifically point out a Malian influence in the two instrumental pieces on the album, but there is a polyrhythmic character to much of the music (as well as the virtuosic guitar playing highlighted by that comparison). It is not always as overt as the multiple meters of a West African drumming group, but it can be heard in the frequently stark contrast between a steady ground beat and the highly syncopated, twinkling flurry of notes that floats far above it, putting me in mind of Don Cherry’s characterisation of the great tocaore Pepe Habichuela’s guitar, as sounding ‘like a tree crying’. That this dimension of the music is more implied than overt is no accident, but is consistent with the other strand that runs powerfully through the music, one of Englishness. Elements of the musical materials echo English folk music, others bring to mind the broad modalities of late medieval polyphony, and still others the beguiling key changes and consonant chromaticisms of the British psychedelic tradition. Craig Fortnam’s nylon-string guitar is at the centre of these arrangements, and even when other elements seem to set the agenda, like the heavy bass at the start of ‘O Sweet Tomorrow’, they are always, on closer examination, in attendance on that mellifluous and intricate voice. James Larcombe, who is credited as the band’s other member, contributes piano, organ and synthesiser (the last usually in the form of analogue-sounding single lines) with a subtlety and sensitivity that sees his parts disappearing into the arrangements as though they were the natural resonances of the space in which the guitar was recorded; his playing also stands proud when required, as with the organ melody in ‘Vamp 2’ or the synth bass in ‘Six Feet Under Yeah’, but there is still a sense that every voice, including Fortnam’s percussion, springs from the guitar. The music on I Will Be A Pilgrim is not a music of certainties, but it is a music of strong convictions, of a deeply felt sense of connection. Its slightly ambiguous tonalities speak an unfixed emotional condition, while its complex and emphatic rhythmic structures make its meanings very precise and defined. It very clearly represents a contingent and uncertain experience, bound fast in all its mutability to the landscape and its (pre)history. This is, in fact, an utterly appropriate response to our neolithic heritage, which is very clearly and materially present in the chalk-lands of southwestern England, but which remains beyond the bounds of the historical record, un-named, un-nameable, linguistically and culturally unknowable, for all that DNA testing has shown close familial relationships between some current residents and those long forgotten people. I felt a similar sense of proximity when living in the open on the chalk hills south of Cambridge, in my early twenties, also a landscape where prehistory is physically immanent; I remember very clearly the moment I was struck by the insight that anyone who lives on and with this landscape eats, drinks and shits the material substance of its neolithic inhabitants. It was a realisation that affected me profoundly, and has shaped my subsequent relationship to my ‘native’ soil. I’m also familiar with the landscape that directly inspires Craig Fortnam here, having visited it periodically since I was a small child, and lived there for a spell. Silbury Hill, Uffington White Horse, the stone circles at Avebury and Stonehenge (and elsewhere), the Cerne Abbas Giant, all these monuments and many more bring the past tantalisingly close, without quite putting it within reach. So the question for me, given this record’s avowed creative agenda, would be to ask whether it speaks to me in the same way as those landscapes. Well, the principle feature of these territories, for me, is their beauty; it’s their clear blue skies – I always recall them in summer, although they can be at their most striking and powerful on grim days of iron-grey cloud and biting rain. 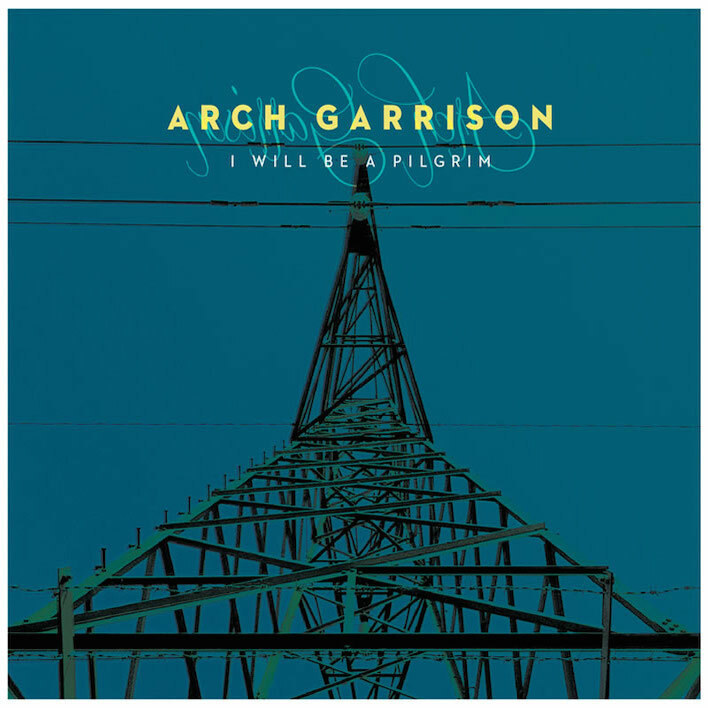 Arch Garrison’s music tends toward the former sort of beauty, and beauty is what it’s all about. A fine aesthetic polish caps the strong bones of the music; a potentially somewhat anti-virtuosic concern with the deep bodily impression of the sound, is complemented and enhanced by a lightly worn but unashamed delight in the expressive power of an advanced instrumental technique. All the business and hustle of social life seems to flicker in the dazzling upper register, while the long slow rhythms of seasonality, of human generations, of entire civilizations coming and going, all find their echoes in ponderous and ineluctable ground-beats. The music’s meanings are not to be found in my relationship to the landscape, nor in yours; but they are very much to be found in Craig Fortnam’s understanding of, and love for the ground he walks on. The resonance that struck with my own experience was profoundly moving.